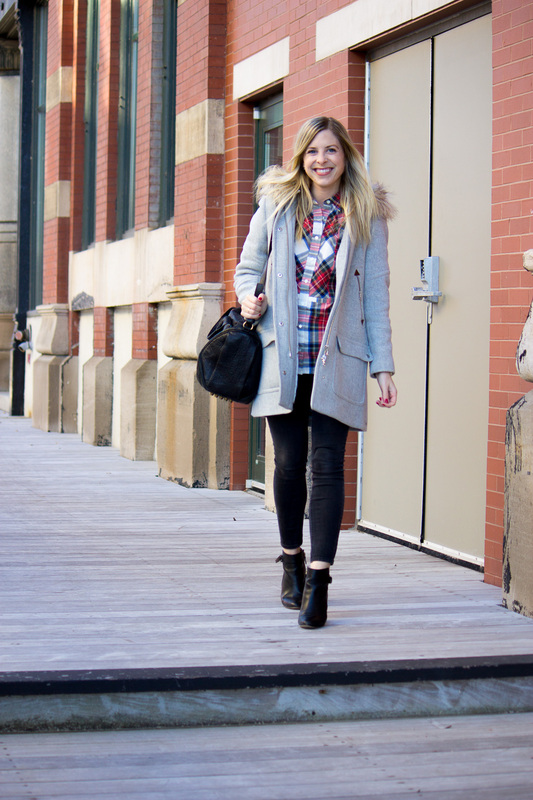 You really can’t go wrong wearing a cozy plaid top for the holidays. You can dress it up and down yet still feel festive regardless of your plans. My family’s Thanksgiving tends to be a bit more casual so this look would be perfect for me to take from day to night. I also plan to wear this shirt with a lace skirt, my new go-to boots (last seen here) and tights with some sparkly baubles. Winter finally hit the Midwest. We were driving to Minnesota on Friday for our last wedding of the year, and we started with 70º in Wisconsin, and by the time we arrived it was 30º, extremely windy and snowing. 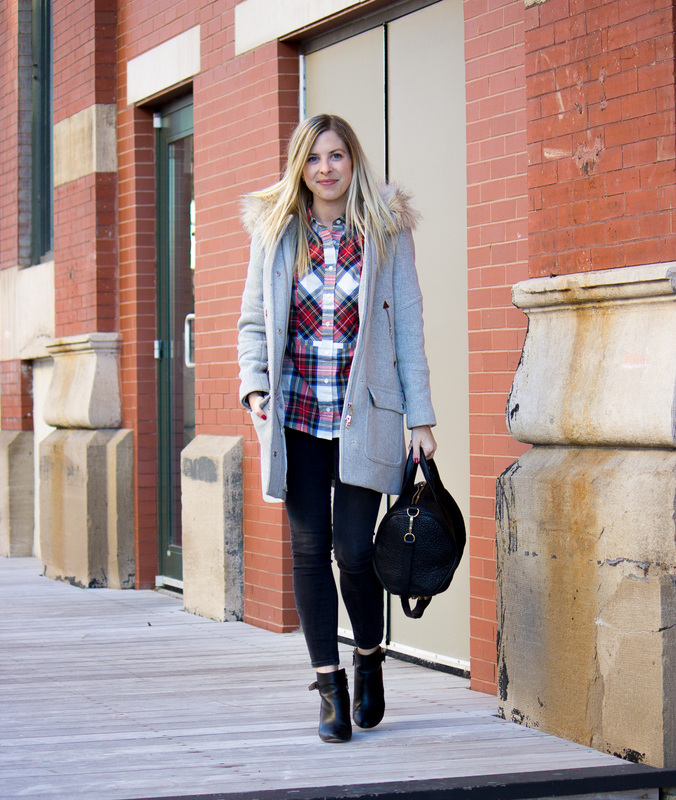 Needless to say, I brought out my favorite J.Crew coat and winter accessories.